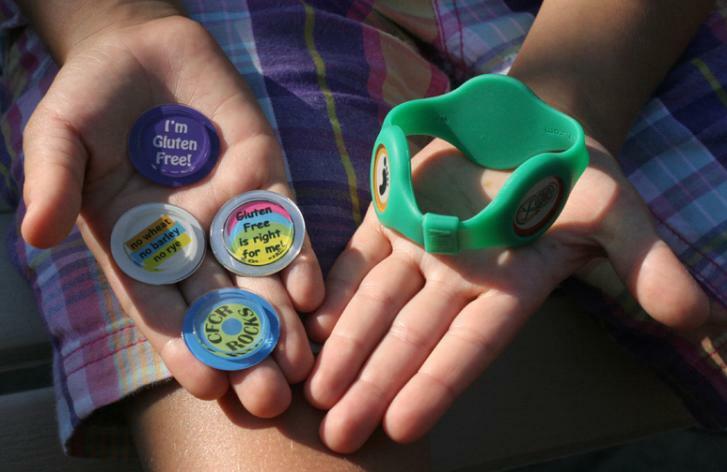 How could a g-free kid not feel proud, when sporting this unique bracelet?! I attended my local Celiac support group’s 25th anniversary party this past Fall, where I finally got to meet Dr. Fasano and Pam King from the The Center for Celiac Research & Treatment at Mass General. I am honored to have Dr. Fasano’s endorsement of my book and that numerous copies of it are available for patients to peruse at their Center. At this “Gluten Freedom Day” event, I was thrilled to hear Dr. Fasano speak so much on the topic of gluten sensitivity as well as Celiac, as both conditions touch my family. wasn’t too loose nor too tight. 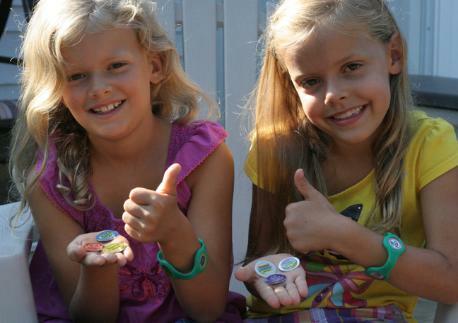 My daughters have had fun borrowing each others’ disks and they change up their bracelets a lot. Kids can even wear these for sports as there are no sharp edges, plus they can get wet. The rubber is soft, sturdy and very durable. We are proud to be able to support the research Dr. Fasano and his team are doing at the Celiac Center — from creating a “Making Tracks for Celiacs” team every year where we collect donations for the Center, to personal donations and spreading the word about what they do. When you purchase these TriBandz bracelets, you are even supporting important research taking place there. 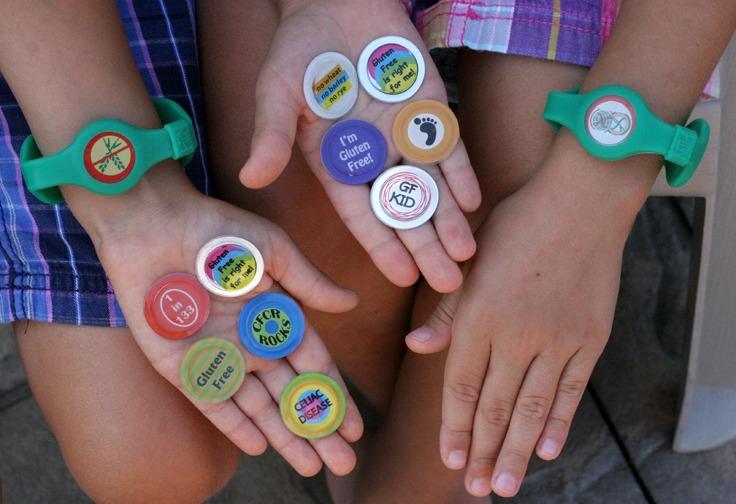 And of course, as kids wear these bracelets and talk about them with friends and family, it is also helping to raise Celiac disease (and gluten sensitivity!) awareness in many little corners of the world. Give them in Easter baskets, as stocking stuffers, part of a birthday gift, or “just because.” If you are part of a support group, please ask those in charge to consider buying these in bulk to sell at your events and meetings, or to give them as gifts to newly diagnosed gluten-free children. To find out more, and to order, visit www.celiacwalk.org and then click on “Celiac Awareness Items” on the lefthand side. This entry was posted in awareness, fun for kids, reviews, supporters and tagged awareness bracelets, celiac awareness, Center for Celiac Research, fun ideas, fundraising, gluten-free kid, ideas, raising awareness by kachalmers2. Bookmark the permalink. These are too cute. I will have to get one for my daughter! I’m trying to locate the bracelets, are they still available for sale? I would also like this gluten free bracelet for my son. I would like to order this bracelet for my son it is the only one I have seen that I think he would wear. UPDATE January 2016: I have tried numerous times to find more information on how to order these bracelets over the past few years but have had no luck. Sorry!